There’s a knock at the door! Taking time away from studying can be the difference between dinner or a bag of chips and a soda. Sometimes it pays to turn to delivery services, particularly when they have been studying for hours on end or they aren’t feeling well. It’s good to know that food can be delivered right to their dorm or apartment. Here are some of the ones we found and what they deliver and how they work. As you will see not every delivery service is for food. Bite Squad – There is a chat option if you would like to review your order or ask why your order is taking so long. You can schedule a delivery for later in the day and check the order status. Gift cards are available. DoorDash – More food delivery at your fingertips. Some say it is more efficient than UberEats too. Use the app or the website. College students can now get Chick-fil-A delivered nationwide, and the first sandwich is free through DoorDash. The free chicken sandwiches are only available through the DoorDash app and website with the promo code “CFADELIVERY.” There is a $5 minimum per order. Doorstep Delivery is a restaurant delivery service delivering restaurant food directly to your student. Place restaurant food orders online and view restaurant menus. Eat24– is actually powered by GrubHub. It is super easy to navigate, you type your address in the search they will show you restaurants currently delivering to your area, as well as places that offer pick up. There can be a minimum amount spent, depending on the restaurant. Just enter your address into the website or app and before you know it you’ll have dinner. Eat Street – Delivery and takeout options available. There are delivery fees and a minimum amount that has to be purchased for certain restaurants. They offer features to filter your restaurant results such as order ahead, restaurant-rewards, specials, fast delivery, or try something new – all on the website. Instacart – For faster shopping and easier checkout, get the app and have groceries, etc. delivered from most of the same places as Shipt, but also includes CVS and Whole Foods. Publix – First delivery is on them (via Instacart). Sign up via social media account or an email and have your groceries delivered to you. It is basically online shopping; convenient and easy for those who don’t feel like going through the process of grocery shopping. Shipt – Get 2 weeks free and $15 off your first order on deliveries from stores like Publix, Costco, Target and ABC Fine Wines & Spirits. Let their shoppers do what your student doesn’t have time to. Uber Eats – Same concept as Uber, but they deliver food, not people. You can track, via the app, when the restaurant is preparing food; your driver is picking up and when they are in route to you. The fee is a little pricier than most delivery places, but they tend to be faster. Chipotle – now delivers on orders of $10 or more via DoorDash, Postmates, and Tapingo. I had to mention this because it literally made my son’s week. Amazon – Seriously, what can’t you get from Amazon. By signing up to Amazon Prime as a student, the first 6 months are free and then there is a discounted membership fee for the next 4 years until graduation. Prime membership includes free 2-day delivery, among many other perks. 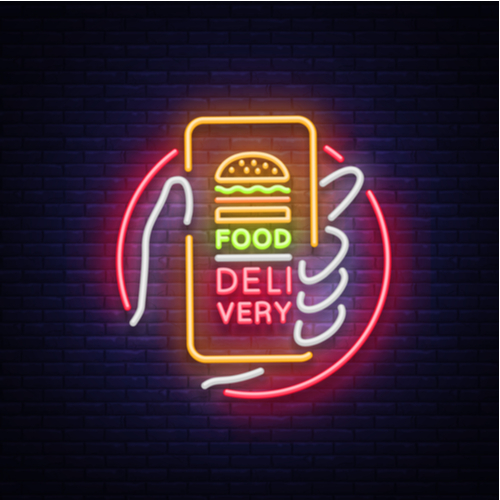 Postmates, which is available as an app as well, allows you to have various stuff delivered from places like CVS, Dunkin’ Donuts and Walgreens. It doesn’t get much more convenient than that.